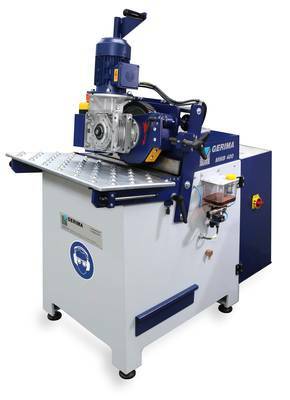 GERIMA develops and produces high quality beveling machines from small to large for optimal weld preparation or for edge rounding before the subsequent coating or painting. 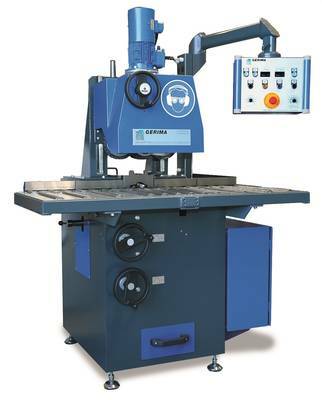 Through an international dealer network GERIMA supplies its high quality beveling machines together with the necessary application know-how to customers in the areas of steel construction, shipbuilding, automotive, construction, pipeline construction, aerospace and general engineering. With over 20 years experience, GERIMA has established itself as one of the leading technology partner in the field of beveling technology. The development together with the interested customers worldwide never stops. 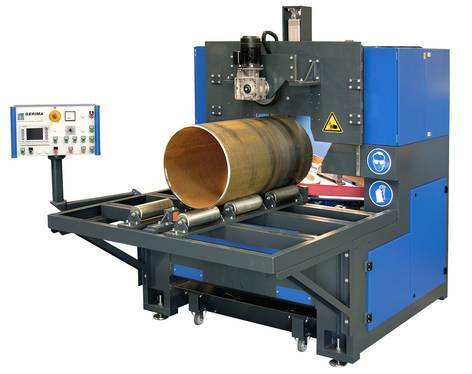 Pneumatically driven bevel grinding machine for complete beveling of metal edges or regrinding of flame cutting edges, also on convex and slightly concave edges. 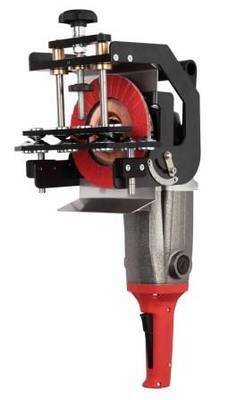 For complete beveling of metal edges or regrinding of flame cutting edges, also on convex and slightly concave edges. 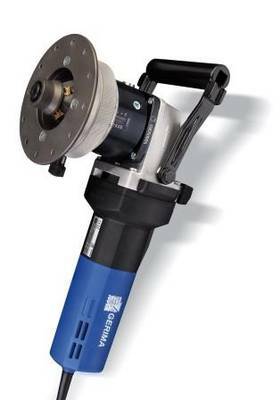 Universally applicable, can be combined for industry and trade, with a lot of useful range of accessories, available in a variety of configurations.The MULTI-series combines beside a patented milling head quick change system for efficient and economic use a patented spring technology for a vibration-free operation and thus longer tool life. The operator has in addition to the part program of milling head for bevel (0-80°) and for radii (2-8mm) also diamond crowns and abrasive belt heads for effective edge processing. 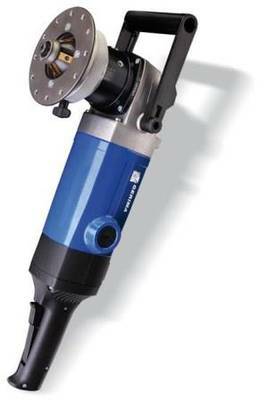 Universally applicable, can be combined for industry and trade, with a lot of useful range of accessories, available in a variety of configurations.The MULTI-series combines beside a patented milling head quick change system for efficient and economic use a patented spring technology for a vibration-free operation and thus longer tool life. The operator has in addition to the part program of milling head for bevel (0-80°) and for radii (2-4mm) also diamond crowns and abrasive belt heads for effective edge processing. 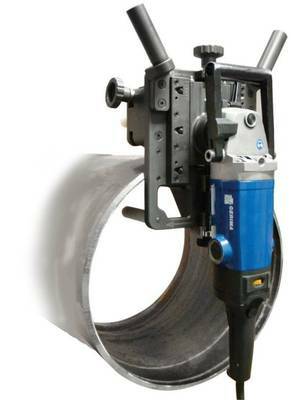 The clamping system MMP 800-L is clamped on the pipe wall. 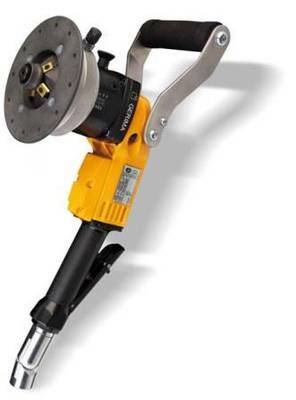 The hand bevel milling machines are connected with the clamping device and connected with a slide to the pipe edge. The bevel angle is defined by changeable milling heads with a corresponding bevel angle. The milling units are spring loaded and copy over a copying roll on the pipe wall the tube contour. Thus, a very good bevel quality is produced with accurate land width. The results are bright metallic welding bevels without heat effects. The clamping system has been developed for use both in production as well as on the site. For disposal are electric and pneumatic milling machines. 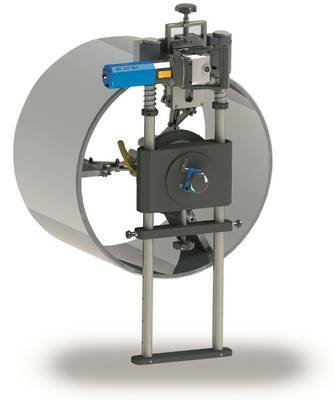 The clamping system MMP 600-M is clamped and fixed inside the pipe against the pipe wall. 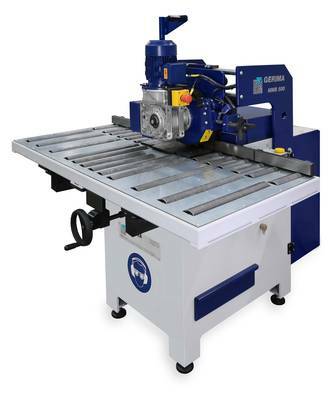 The hand bevel milling machines are connected with the clamping device and connected with a slide to the pipe edge. The bevel angle is defined by changeable milling heads with a corresponding bevel angle. The milling units are spring loaded and copy over a copying roll on the pipe wall the tube contour. Thus, a very good bevel quality is produced with accurate land width. The results are bright metallic welding bevels without heat effects. The clamping system has been developed for use both in production as well as on the site. For disposal are electric and pneumatic milling machines. 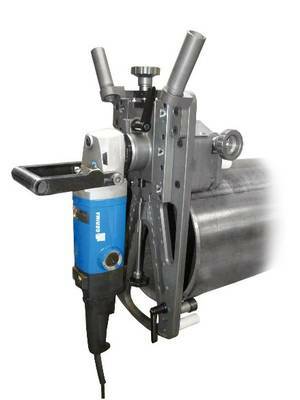 The clamping system MMP 300-S is clamped on outer pipe. 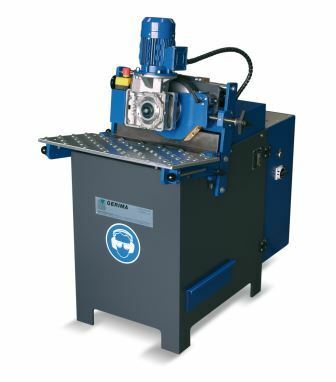 The hand bevel milling machines are connected with the clamping device and connected with a slide to the pipe edge. The bevel angle is defined by changeable milling heads with a corresponding bevel angle. The milling units are spring loaded and copy over a copying roll on the pipe wall the tube contour. Thus, a very good bevel quality is produced with accurate land width. The results are bright metallic welding bevels without heat effects. 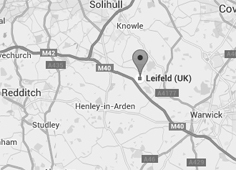 The clamping system has been developed for use both in production as well as on the site. For disposal are electric and pneumatic milling machines. Stationary bevel milling machine for pre-processing of welding bevels or chamfers on optical workpieces with straight edges, small pieces of pipe, sheet metal and segments. The LGP-Series is offered with three different grinding unit variants and for different pipe diameters. High performance belt grinding plant for processing mild steel, stainless steel, high strength steel and wear steel.The operation of the LGA series differs in general to the other series. Here the workpiece is clamped and fix the grinding unit moves then. The LGA series are available in different lengths and they are offered with three different grinding unit variants. In the machines of the type I, the grinding unit is processing the bevel from above and it is controlled manually in this case.